Post top mounted on a 60mm spigot. H07RN-F 8m pre-wired (other cable type and length on request). Recommended mounting height between 4 and 6m. Single or twin installation. 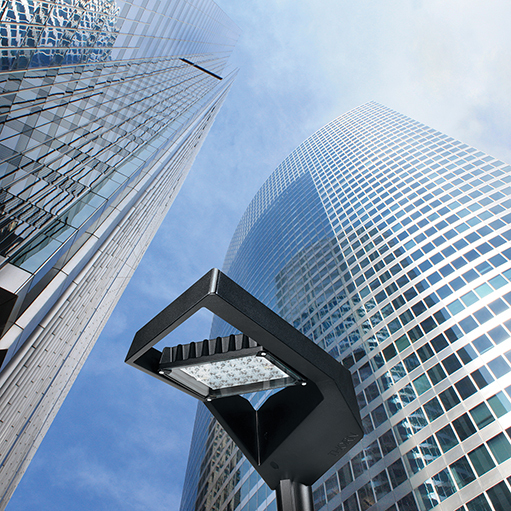 Dedicated column recommended for perfect continuity between the column and the luminaire. 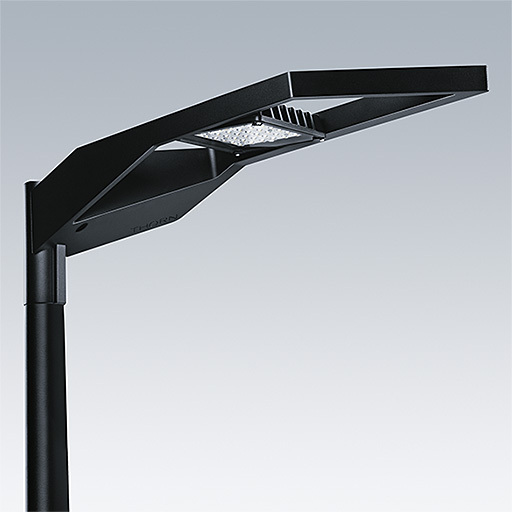 Highly designed urban luminaire with tiltable optic, up to three LED modules with optical clusters, made of die cast aluminium with 2 optics dedicated to comfort (G6). Customisable optic (choice between 11 light distributions and 2 enclosures). 3330lm and 5833lm luminaire output. Pre-wired IP65 driver included in the luminaire compartment. Post top mounted (60mm spigot) for single or twin arrangement from 3,5 to 8m high installations. Other colours and finishes on request.